Discussion in 'The Pub' started by bill1951, Dec 8, 2016. Can't believe I'm the first to post this date. Ahhhhh... Lennon's death. Took me a minute. Sad day. Even as a kid I had a hard time believing someone wanted to kill one of the Beatles, thought it was a mistake for a week or two..
Sidney Vicious, 65DuoSonic, Outlaw and 2 others like this. Oh man, I remember hearing this at the time it happened. Wow, so incredibly sad. I was 9, and my dad came into the kitchen and told my mom in hushed tones. At the time, for some reason I thought he was talking about Jack Lemmon, and I didn't understand fully till I saw the news later that day. Horrible day indeed. jkg and Outlaw like this. I was in my last year of law school, watching Monday Night Football with my friend Pat, and heard Cosell announce it. I think it was probably the first celebrity death to hit me hard. Sidney Vicious, spakuloid, 65DuoSonic and 6 others like this. Lizz Winstead used to have a bit in her stand up routine in the 80s about how out of touch her mother was that included her mom calling her and screaming "They shot Jack Lemmon." 65DuoSonic, JiveTurkey, cratz2 and 1 other person like this. I wasn't born yet, I have never lived in a world with a living John Lennon. jerryfan6, jkg, Outlaw and 3 others like this. I was in my last year of law, watching Monday Night Football with my friend Pat, and heard Cosell announce it. I think it was probably the first celebrity death to hit me hard. I was recently turned ten, and likewise watching MNF (with my dad) when Cosell made the announcement. It is the earliest celebrity death I remember really hitting me. I kept the subsequent Time magazine for years (through two or three moves into early adulthood). I also remember being the only kid in my fourth grade class who seemed affected by it. 65DuoSonic, IGuitUpIGuitDown and marktweedy like this. 65DuoSonic, marktweedy and A-Bone like this. I was 13, and even though I was a huge Beatles fan I don't remember the precise moment I heard the news. I'm pretty sure I heard it on my clock radio the morning after. It definitely affected me, and even as an adult it hits me every so often, for example if I hear "Starting Over". I was 19 and remember it vividly. Tragic still. You look much older in your avatar. 65DuoSonic and EricPeterson like this. i was working at the game as a hot dog vendor...no lie "hot dogs, get your hot dogs here!!! "....we knew nothing of the shooting. fretless, 65DuoSonic, cratz2 and 2 others like this. I was 11 and heard Cosell announce the news. Few years ago, my wife and I visited NYC. This was one of our mandatory stops along with the 9/11 site. Young girl, maybe 20 years old, comes up to me and asks me what this place is. I guess she was curious because of all the people there taking pictures. 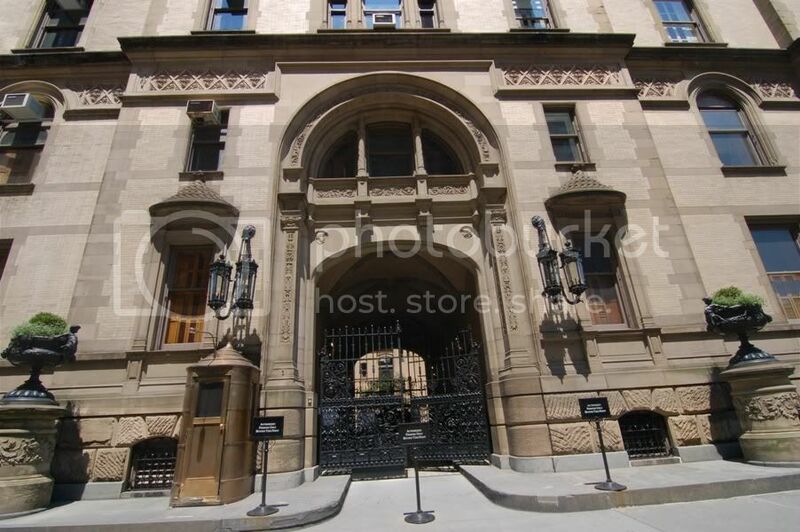 I told her this is where John Lennon lived, he was shot right there inside of the gate. She looked somewhat confused as if to think "John Lennon?" but didn't say anything besides thanks and walked away. My daughter is just over a year old. She wasn't alive when the world still had John Lennon and George Harrison or know what life was before 9/11. I remember when George Harrison died how CNN interrupted their 24/7 9/11 coverage to talk about his death. marktweedy and EricPeterson like this. I remember I was on a Metro Bus on the way to work in Seattle. Shocking. We tend to view history in relation to our own timeline. Now that I have custody of my three grandchildren, I'm having to rethink that. My grandson is 12, he has no idea of that experience. We've talked about 9/11 before and it's importance is "different" to him than it is to me. Steve Hotra, marktweedy and jamess like this. For me it was freshman year at UC Santa Cruz, hanging out in the dorms partying with my friends. A good friend of mine at the time was a huge Beatles fan, and specifically John Lennon. We were all shocked, but he was devastated.